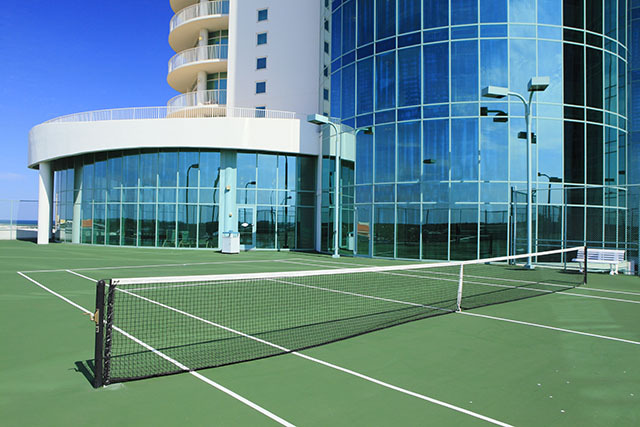 Two regulation-size tennis courts are located just outside the indoor pool area on the fourth-floor amenity level of the east tower. 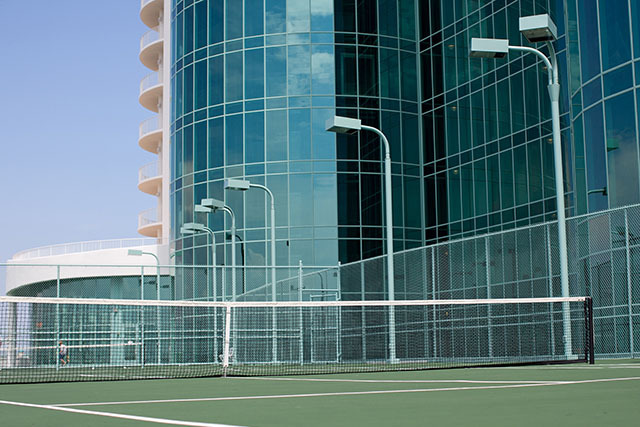 Turquoise glass provides a stunning backdrop for the lighted courts. 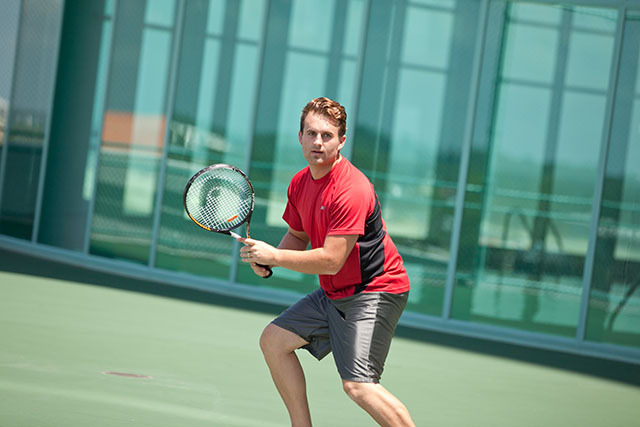 From the tennis pro looking to show off their skills to beginners eager to try a new sport, our courts are available to all guests.